Edited by: William J. Doheny, C.S.C. Drawn from the heart of Teresa of Avila's timeless classic The Way of Perfection, her most personal and accessible book, this masterful primer on prayer provides contemporary Christians with a simple guide on how to pray. Teresa of Avila's down-to-earth suggestions offer today's Christians—whether novices or veterans—sensible insight on the practice of prayer and meditation. 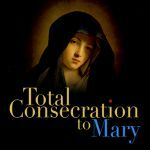 An introductory section contains Teresa's teaching on the practice of vocal and mental prayer, followed by sixteen succinct chapters imparting Teresa's instructions on how to pray. 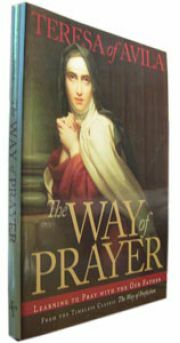 Readable, personal, and practical, Teresa's commentary on the Lord's Prayer is a wonderful way to discover the passion and the wisdom of this beloved woman mystic. "A valuable contribution to Catholic literature." "I am delighted to recommend the publication of The Way of Prayer by St. Teresa of Avila. This will be marvelous book for people to use to simply focus on prayer rather than on all of St. Teresa's writings on the spiritual life. It will be an introduction for many and it will be a reminder for those who already know St. Teresa. A valuable contribution to Catholic literature."